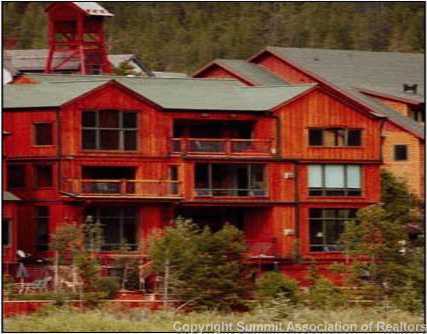 Located at the foot of Keystone Mountain these properties are ski-in/ski-out townhomes backing to large open space on the Snake River. They are located just outside of River Run Village. Walk to the gondola and all that River Run has to offer! These wonderfully situated luxury townhomes lie in the heart of River Run Village and allow awe-inspiring viewing of the incredible wetland wildlife nearby. There really is no better way to relax after a long day on the slopes than in the warm, inviting confines of the Mill Creek tonwhomes for sale. Interested in learning more about the Mill Creek townhomes for sale? Check out the latest listings below - contact Amon Team Real Estate online or call 1 (970) 376-3813 to chat with an experienced Breckenridge-area real estate professional. The friendly interiors of each one of the Mill Creek townhome units have been lovingly designed to exude the best of Keystone's one-of-a-kind alpine setting. These charming townhomes perfectly straddle the line between the rustic and luxurious. Stunning floor-to-ceiling windows let in a maximum amount of sunshine during the day as well as incredible views of the either the fertile wetlands or the resort's nearby slopes. Beautiful hardwood floors run throughout the 3/4 bedroom and 3/4 bathroom units that boast steam showers and jetted bath tubs that could spell the perfect end to a day on the slopes. The true charm of the Mill Creek townhouses could arguably be the perfectly appointed and private outdoor patio spaces. The patios feature a glassed-in areas to protect residents from the elements in the winter months, as well as an outdoor hot tub and outdoor kitchen space. The outdoor kitchen makes for incredible entertaining in the summertime, while the hot tub makes for magical twilight viewing of the slopes throughout the year. For the most up-to-date information and expert guidance while buying a Mill Creek Townhome, contact The Amon Team today!